Cameron is passionate about the development of sustainable, local and healthy food systems. He has been working on environmental issues for over 12 years, focusing on climate, food systems, waste management, and community development. He is currently the Director of Finance and Development for Compost Montreal, Treasurer of Regeneration Canada, and Secretary of the board of the Urban Agriculture Lab (AU/Lab). Hilary began her career in the insurance industry and then 25 years working for small businesses within the design/construction industry in administrative services (including bookkeeping and accounting) as well as property management. Hilary is also a certified Reiki Master and a SPHE-RE Practitioner. In 2015, Hilary co-founded HealingHudson – a group offering and promoting holistic therapies. Passionate about animal and civil rights, Hilary has volunteered for Animal Alliance of Canada, Le Nichoir Wild Bird Rehabilitation Centre and Amnesty International. She is also a member of the Animal Protection Party of Canada. Hilary loves the ethics and intentions behind the Hudson Food Collective and is inspired by HFC activities such as the Wild Edible Series, documentary screenings and – of course – sustainable, organic farming! Indrek grew up running and skiing through the parks and trails of Hudson. 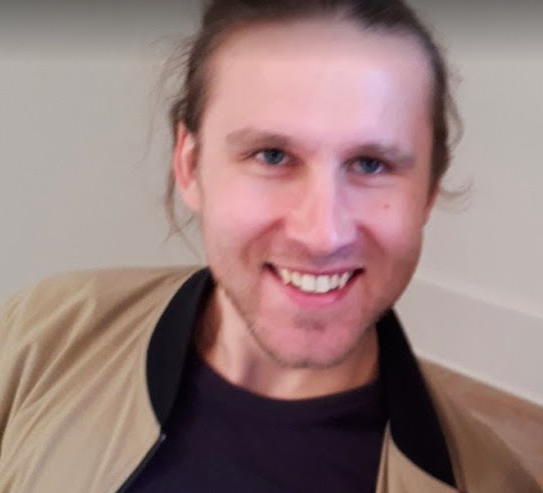 After completing his BSc in Psychology at McGill University’s downtown campus, he moved back to Hudson to continue his studies in Ecological Agriculture at McGill’s Macdonald campus. He believes the Hudson Food Collective’s projects will help Hudson become a leader in sustainable development. He is also a co-founder of usefulscience.org; a science outreach website that summarizes scientific articles for the public. 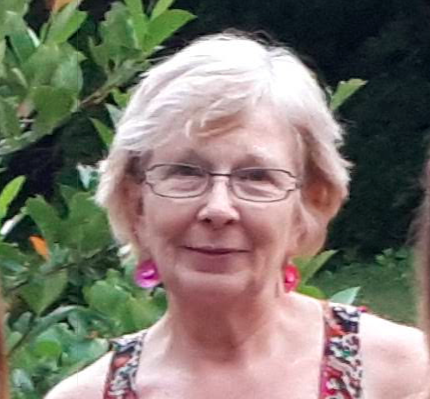 As the representative for the Advisory Committee, Carol provides a valuable link to experience and specialty knowledge. Born and educated in the United Kingdom, she has a BA Hons in Textiles and a Post Graduate Degree in Education. “My formative years were spent exploring the rugged Derbyshire countryside – badger watching in the bluebell woods, bird watching and berry picking on the Roman Road, and hiking over the heather-covered moorlands." She worked for many years in Toronto and in the international arena as a consultant encouraging emerging design talent, marketing, and assisting micro-economic development initiatives - including working closely with many First Nation groups. Carol began attending HFC meetings early on and is drawn to the entrepreneurial spirit of the organization. She shares the beliefs of grow local, make local, buy local as well as the love of place of the Town of Hudson. She currently works as a design and marketing consultant from her textile design studio in Hudson. Loïc (B.A. Urban Studies, Concordia University) is the community and logistics manager of the farm. 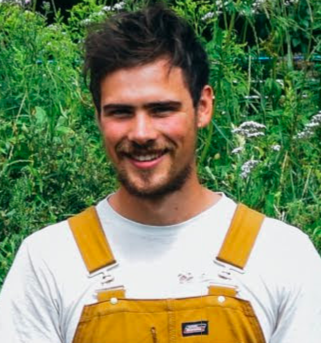 He has gained valuable experience relevant to community projects through his work with the Concordia Food Coalition, Hudson Food Collective, Santropol Roulant and different experiences on farms and urban agriculture initiatives since 2012. He has an overflowing hunger for making the connection between food and all aspects of life; be it with culture, economics, or the environment. He believes in the potential of the HFC to engage these issues and seeks to do the same with his involvement. Loïc's passion for food begins and ends with celebration; best shared with others. Any time, any place! Sonya is a Graduate of the School of Community and Public Affairs & Human Geography at Concordia University (2013), an NDG urban gardener and a co-founder of Transition NDG. With a long time interest in social and environmental justice issues, she believes that integrating a holistic, participatory approach while weaving stronger relationships, helps facilitate the emergence of creative solutions towards healing our planet’s interconnected crises – from climate change to economic injustices. Sonya considers herself to be a creative artisan of transformation. But maybe most important of all, he has been vegetable gardening since he was 10 years old (withpictures to prove it!). When he lived in the city, he had a community garden plot for many years. Now, living in Hudson, he currently grows a lot of his food. Thank you to our funders for making the Hudson Heartbeet Community Farm possible. Regenerative agriculture provides answers to the soil crisis, the food crisis, the health crisis, the climate crisis and the crisis of democracy.